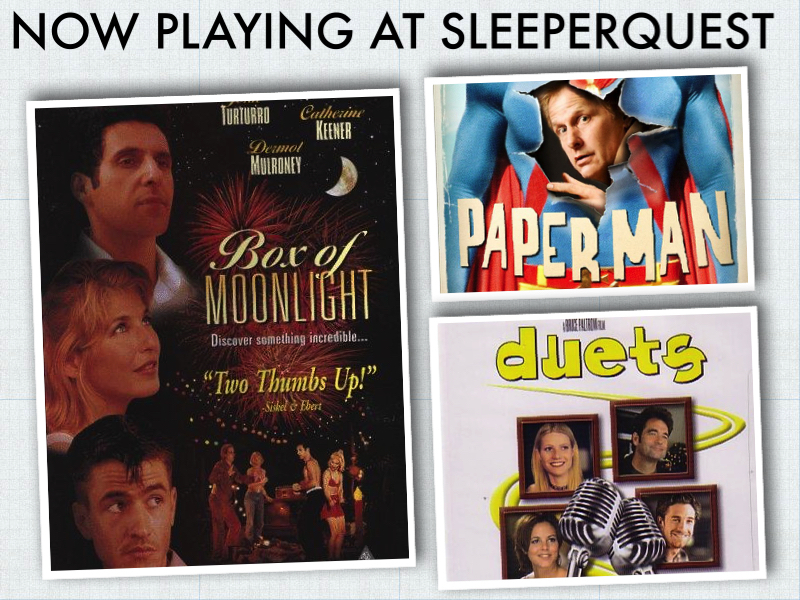 Box Of Moonlight was added to SleeperQuest favorites from 1996. Al Fountain, a middle-aged electrical engineer, on the verge of a mid-life crisis, heads out looking for a lake he remembers from his childhood. A little imagination goes a long way. This entry was posted in 1996, Box of Moonlight and tagged 1996, Box of Moonlight. Bookmark the permalink.